Bianca Cuevas-Moore will come off the bench for South Carolina tonight. Last week, UConn coach Geno Auriemma admitted to the Hartford Courant that “their two big guys are a problem to play against,” and he adds that his team is “not where I want us to be” at this point in the season. But that kind of talk is probably just Geno being Geno. In sophomore Katie Samuelson, Auriemma has a player who is averaging 21 points per game and who reminds ESPN’s Rebecca Lobo of Elena Delle Donne. Along with sophomore Napheesa Collier and juniors Kia Nurse and Gabby Williams, Geno has four players with as much ice water in their veins as last year’s big three did (seniors Brianna Stewart, Morgan Tuck, and Moriah Jefferson). No one expected last year’s streak to continue this season, but last year’s “bench” has stepped up in a big way to get the Huskies to this historic milestone. 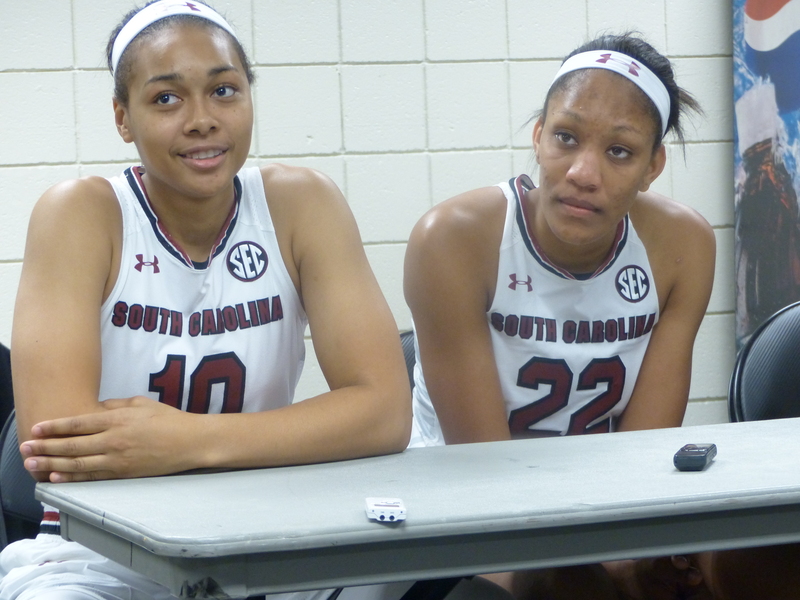 Allisha Gray, who transferred from North Carolina last year, and A’ja Wilson may be keys to tonight’s game. 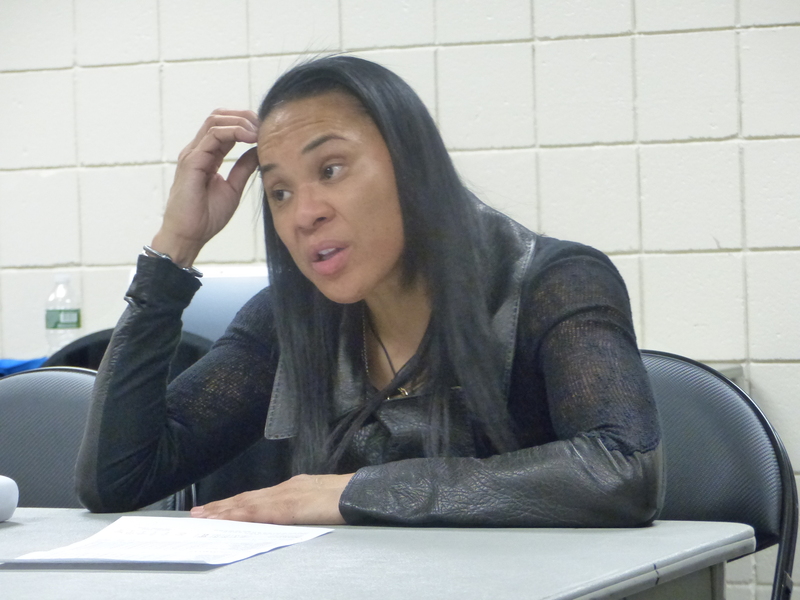 South Carolina coach Dawn Staley has a game plan she hopes will counter UConn’s pressure defense. Whoever wins, women’s basketball fans are hoping for a competitive contest. To that end, South Carolina should fare better than it did against the Huskies last year. 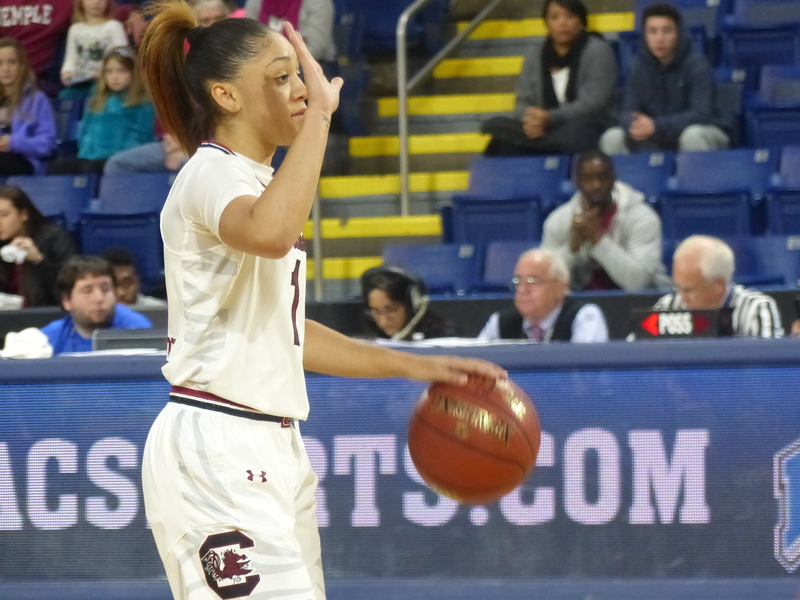 In that game, won by UConn 66-54, Breanna Stewart scored 25 points and A’ja Wilson left with an injury in the second quarter. By the time she returned late in the third quarter, UConn was on cruise control. In the not-so-fast department: If UConn does make it to 100 tonight, they’ll still have to win 32 more in a row to be proclaimed the most dominant women’s collegiate basketball team of all time. The Wayland Baptist Flying Queens of Plainview, Texas hold the all-time collegiate record for the longest winning streak at 131 games from 1950-1957. College basketball wasn’t as competitive back then—and the NCAA certainly doesn’t acknowledge its existence—but the Flying Queens traveled across the country and down to Mexico during the ’50s to play the most dominant company teams and collegiate programs of the era. 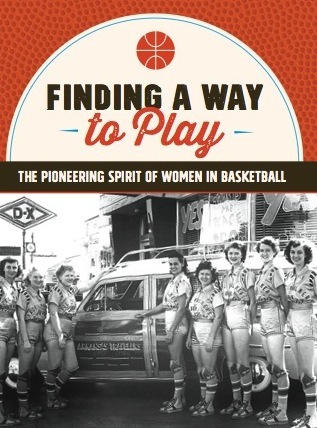 As detailed in “On the Road” a chapter from Finding a Way to Play, the Flying Queens won four national championships during those years. Jeff Walz encourages his team during their second half comeback. Jude Shimmel and Shoni Shimmel at half court during the Women’s Final Four semifinal game against Cal. After trailing for most of the game, Louisville took the lead for good late in the second half. The tickets for the Women’s Final Four in New Orleans may have been sold out, but the stands were far from full.